So Nintendo fans, you now have a choice! You can either upgrade to the New Nintendo 3DS whenever the company gets around to releasing it in the States, or you can stick with the old fashioned model now decked out with some snazzy new decals. I’m not usually one to make a fuss about what my consoles look like, unless it just looks plain silly like the PlayStation 4, so I’ll be saving for the upgrade when it comes out. However, that being said, there is no getting around how cool these designs really are. First up, we have one which is undeniably the most tempting of the three. The Super Smash Bros. 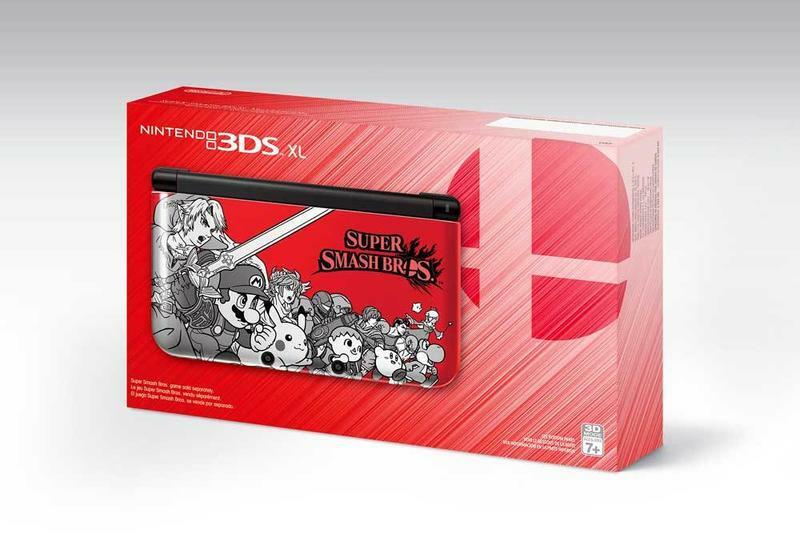 Edition Nintendo 3DS XL comes in blazing red with excellent black and white renditions of all my childhood heroes like Mario, Yoshi, Link, Samus, Pit, and Little Mac scattered across the face. This one also comes in blue, and it will be available on Sept. 19 for $199.99. 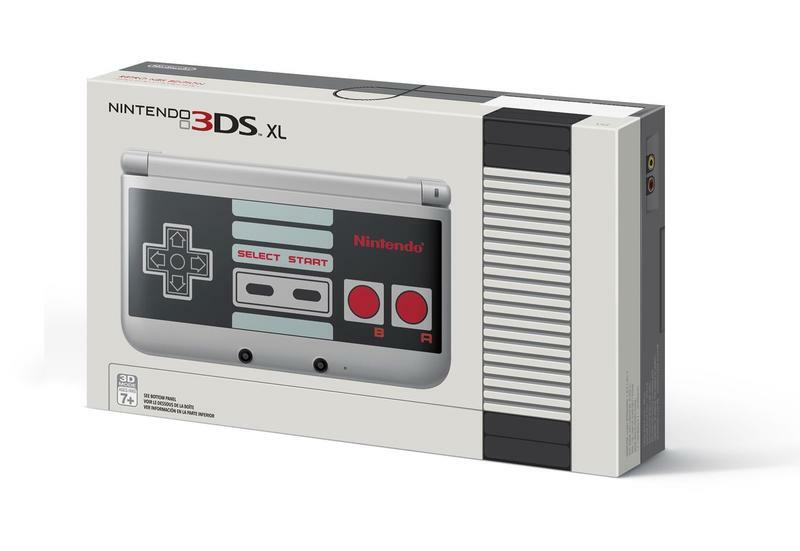 Up next is the NES Edition Nintendo 3DS XL, which, as expected, looks like a classic NES controller. A button, B button, Start, Select, D-Pad, Happier Times. If you are like these doofuses, you might not understand why us old people would be excited about this, but trust me when I say child in the late 80s wanted to hold one of these machines. The thing is, the NES controller is so awesome and iconic that its image has been used for iPhone cases and a good many other devices over the years, meaning this one doesn’t have the same luster for the $199.99. 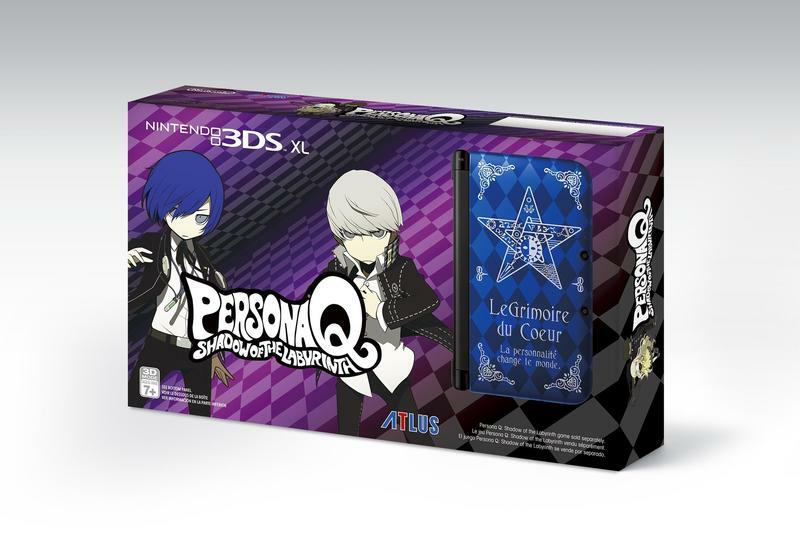 Lastly, we have the Persona Q Nintendo 3DS, which will launch on Nov. 25 for $199.99. It doesn’t feature any specific characters from the game, but it does do a great job channeling the Grimoire book used by the hosts of the mystical Velvet Room which appears in every Persona game. The colors and font make for a pretty slick design that doesn’t scream “I’m a total nerd!” at first glance. So while I am pretty satisfied with my aqua blue Nintendo 3DS that has a huge crack right between the cameras, maybe you are looking for a little bit more. Which one do you like the best? Keep in mind that the NES and Persona Q versions are a GameStop exclusives, so you might have to walk through the Gates of Hell if you want to buy one. Or, you can just order them from the net.